The current Chaplain of The Queen’s Chapel of the Savoy, The Reverend Canon Professor Peter Galloway OBE will retire from his post on 31 July 2019. On behalf of the congregation and all visitors to the Chapel over the last 11 years we would like to thank Peter for his faithful and dedicated service. We all wish him a long and happy retirement. Thomas Leyland, a retired Squadron Leader, was appointed Steward of the Queen’s Chapel of the Savoy on 1 March 2012. Since leaving the RAF in April 2009, Thomas had been the Administrator for the Parish of Boston in Lincolnshire, which has 3 churches, including the biggest in England; St Botolph’s (widely known as Boston Stump). During his 38 years in the RAF, in addition to time spent in the UK, Thomas had been posted to Germany (9 years) and with NATO in Brussels (3 years). He had also spent shorter periods on detached service from the arctic of Northern Norway to Singapore and the USA; his final posting was with the Typhoon Force at RAF Coningsby. Thomas has been married to Pam for just over 40 years. They live in an apartment in Westminster during the week, but travel to their own home in Lincolnshire at weekends (Friday and Saturday). They have one adult married son and 3 grandchildren (Eve 11, Peter 9, and Elsa 3). Philip Berg has been Master of the Music at The Queen’s Chapel of the Savoy since 1995, and has conducted the choir for many Royal Visits. He has given a yearly Bach Recital at the Chapel since 1995, and is near completion of a long-term project to perform Bach’s complete organ works. He has performed at many other venues, most recently at the cathedrals of Inverness, Worcester and St Giles, Edinburgh, and has been heard as accompanist on BBC radio. He is Director of Music at St Paul’s Preparatory School (Colet Court), where he has taught for over 25 years. 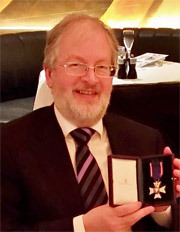 Philip was appointed a Member of the Royal Victorian Order(MVO) in 2014. 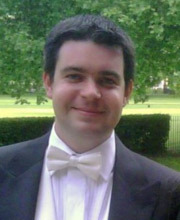 Justin Luke has been Assistant Organist at The Queen’s Chapel of the Savoy since 2002, prior to which he was Organ Scholar of Westminster Abbey, All Saints’ Margaret Street and Rochester Cathedral. He studied at Wells Cathedral School and The Royal College of Music and his teachers have included Peter King, Rupert Gough and Margaret Phillips on Organ and Fali Pavri on Piano. Justin is a prize winning Associate of the Royal College of Organists and his playing has been heard on numerous occasions as live or recorded broadcasts on BBC radio. He has appeared as a soloist or accompanist in many venues throughout the UK, Europe and the United States.